Is marketing your dojo supposed to be a some-of-the-time thing, or an all-the-time thing? 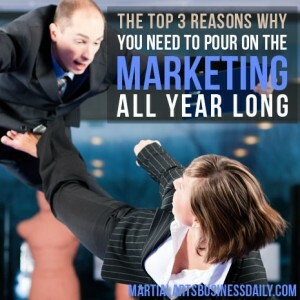 Most martial art school owners seem to turn up their marketing activity during the so-called “busy” times of the year (during fall and right after the New Year), and then tone it down at times of the year when things are supposed to be slow (during the winter holiday season and mid- to late summer). 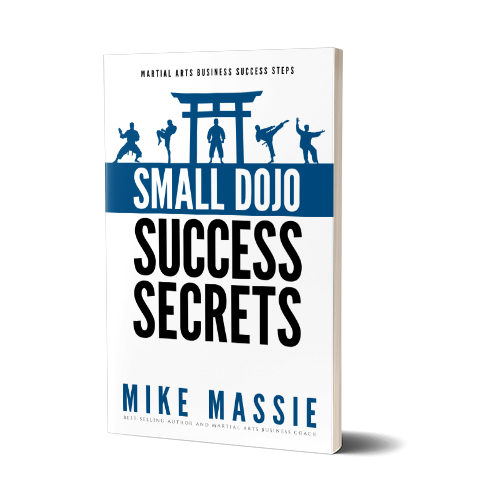 But is that the best approach to marketing your martial art school? And, what are the consequences of being inconsistent in our marketing? Certainly, it makes sense to take advantage of busier times of the year by increasing our marketing, but doesn’t it also make sense to market hard when business is slow? What will be the fallout over the months ahead if we decrease our marketing now? In addition to the above, Mike also discusses why you need to be selective about what you post online. And in the tip of the week, Mike talks about SEO and how to avoid getting your martial arts website Google-slapped, and where you time and money is best spent today in your personal online marketing efforts. Facebook Advertising – Facebook is a great place to market your school. Again, be sure to target your ads by location to avoid paying for ad clicks from outside your area. MAbizU.com – My private martial arts business coaching website. When you join, make sure you join the private Facebook group for members so you get the most out of your membership. MartialArtsBlogging.com – A great place to get pre-written content for your blog and newsletters. Your e-mails provide great, deep and useful information for anyone that runs a School!